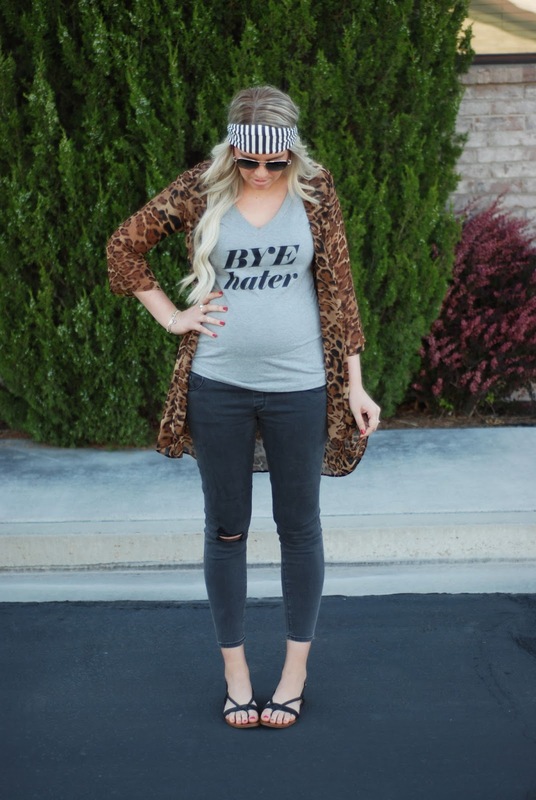 CHEETAH & STRIPES + #WIWT LINK UP! I just want to say a huge THANK YOU for all your kind words and love from our last post. I can't tell you how hard it was to hide this belly the last 3 weeks. Now I can come out of hiding! 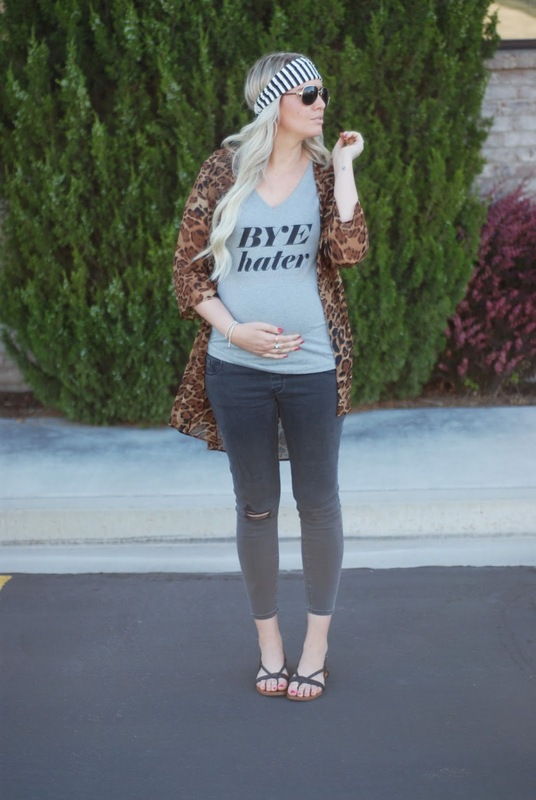 My family/friends always told me they were so excited for me to be pregnant and my outfits. 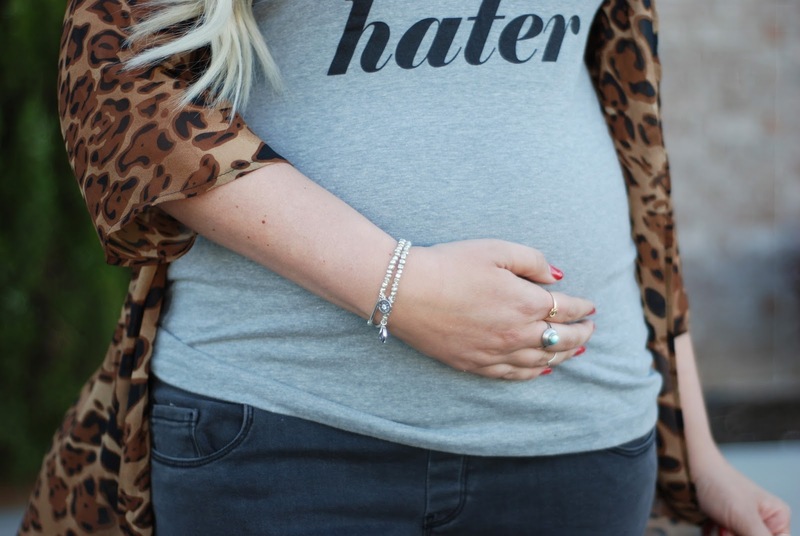 Now that I am pregnant I just want to dress homeless and never wash my hair. 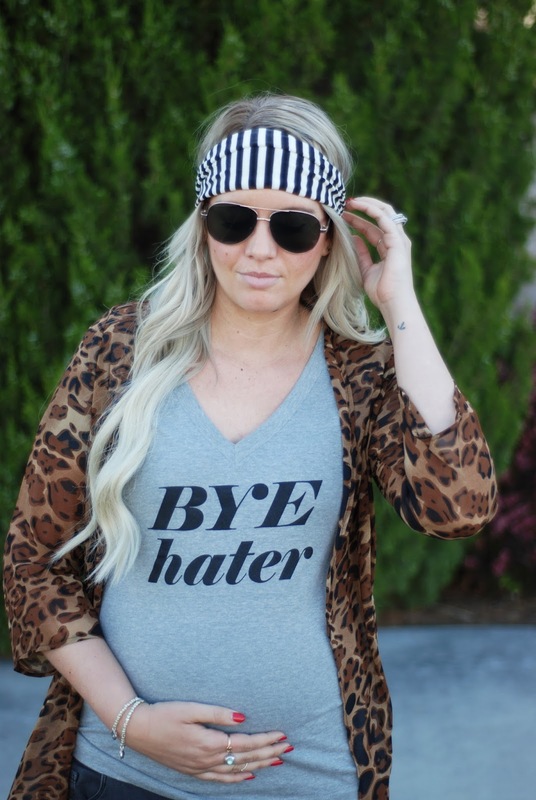 So, sorry to disappoint but this prego will not be dressing fancy much. 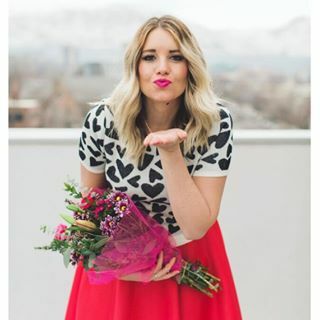 Those bloggers who dress up and are always wearing the cutest outfits, I give you huge props! 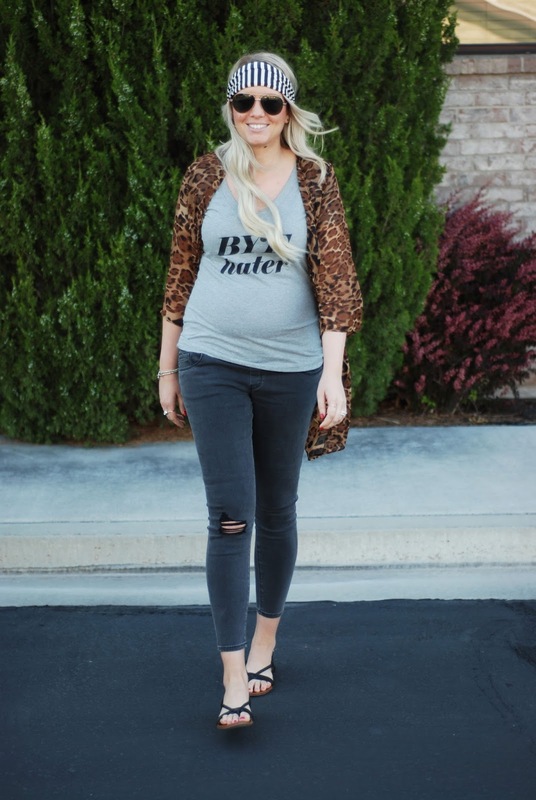 I'm keeping it casual today wearing a few staple pieces, including now my new maternity jeans. I sure had to buy those babies early on. Lately I have been a huge fan of dainty jewelry. Sometimes I stack and stack and wear quite a few pieces, but now I love a few simple pieces. 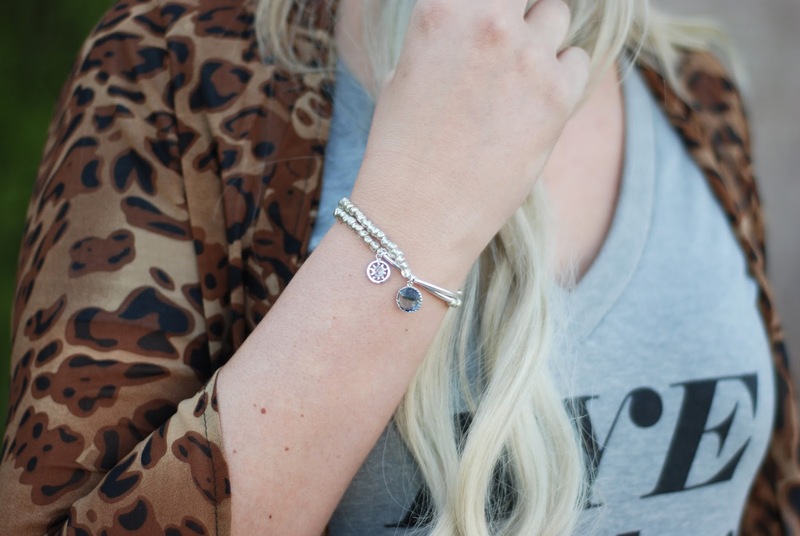 I love these dainty bracelets from Mintgem Jewelry. I can't wait to add to my collection! They are the perfect size and look cute wearing alone or stacked with other pieces. Now that you want a few of your own, use code BLOGGER10 to get 10% off your order! 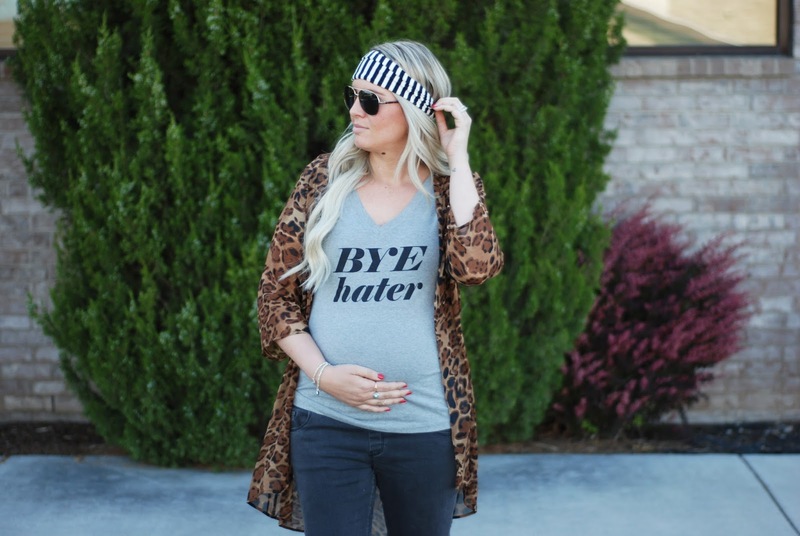 For all you blogger babes its time to link up with me and Twenties Girl Style! My pick this week is Lena B, Actually. I'm a huge fan of mixing prints and I love this whole outfit head to toe! So cute for summer!